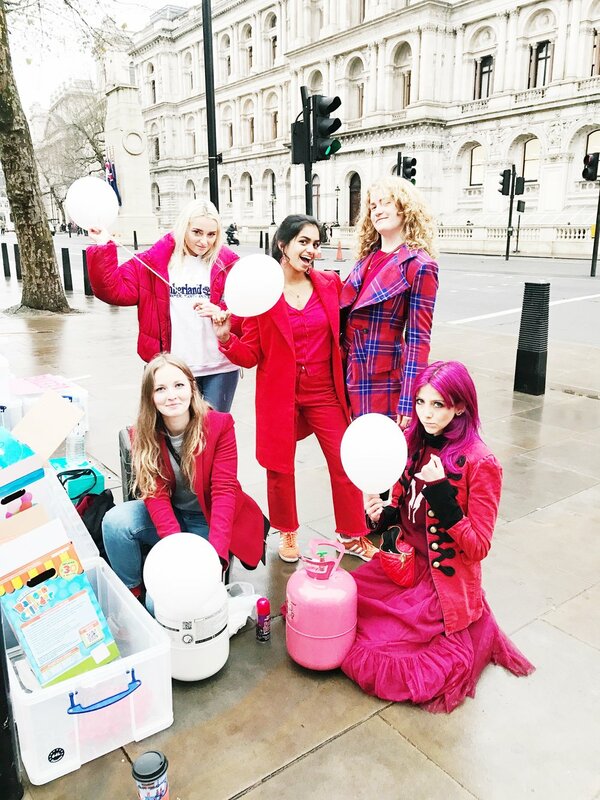 In August 2017 The Pink Protest began working with teenage activist Amika George on the #FreePeriods campaign, calling on the British government to put an end to British period poverty. #FreePeriods was started by Amika George in April 2017, after the BBC published a report that 1 in 10 girls in the UK can't afford to buy menstrual products. On December 20th 2017 we organised a 2000 person protest outside Downing Street. WE called on the British government to put an end to period poverty. WE called for equlity and dignity and respect. 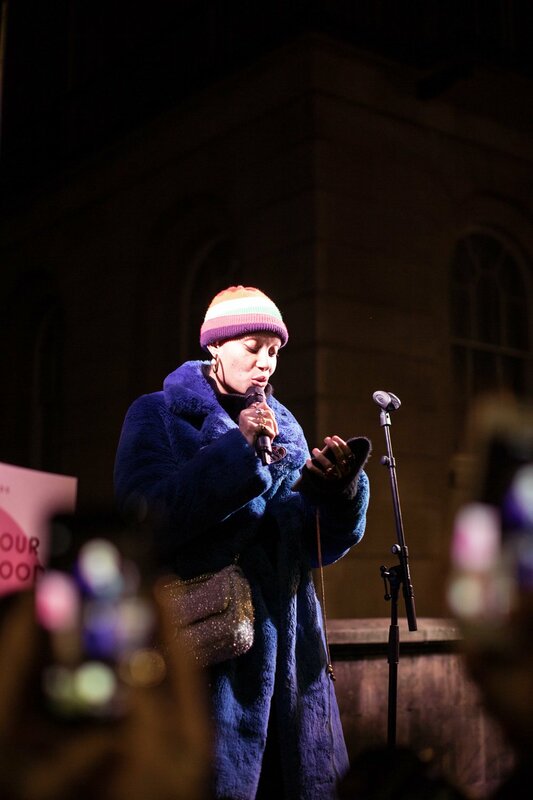 Speakers at the protest included Adwoa Aboah, Jess Phillips MP, Daisy Lowe, Ayesha Hazarika, Paula Sherriff MP, GRLPWR GANG, Chella Quint, Aisling Bea, Shami Chakrabarti, Suki Waterhouse, Amika George, Scarlett Curtis, Grace Campbell, Tina Leslie, Deborah Frances White, Gabby Edlin & more. 10 Downing Street heard our shout and on March 26th 2018 the government gave £1.5 Million to address UK period poverty. ACTIVISM WORKS. But the fight for #FreePeriods is far from over. 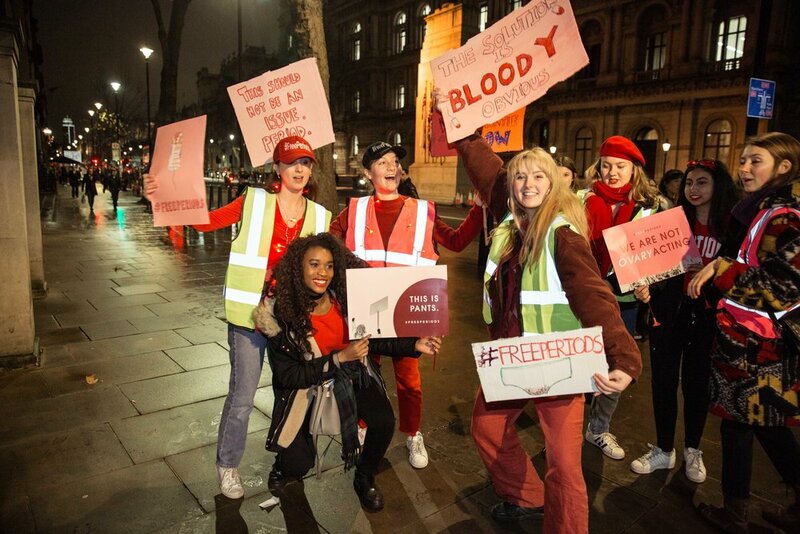 In April 2018 we relaunched #FreePeriods as a youth led movement against global period poverty. You can read more about our continued work with #FreePeriods here. We also did a special episode of The Guilty Feminist podcast about the protest which you listen to here. Download our #FreePeriods ZINE here.